for a holiday or party. 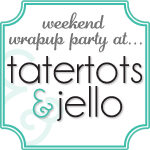 to our Halloween and Fall Fun parties! I love these little pizzas! Before trick-or-treating, we always make "Mummy Dogs"
with hot dogs and crescent rolls. this year and make these instead. 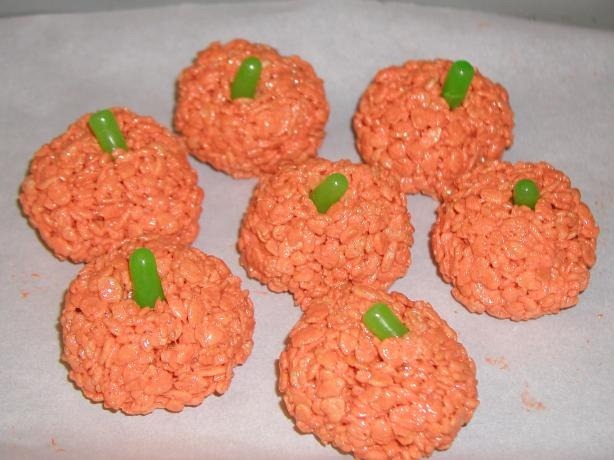 How cute and yummy do these pumpkin Rice Krispie Treats look? They'd be a perfect little Halloween treat. And these Nutter Butter Ghosts? So cute. These would be the perfect little treat for me to make. They'd be easy to just make a couple, or make up a big batch of pudding and put together a whole bunch. What a great idea for edible fall leaves. but doing it on leaf-shaped toast is just so clever. And don't forget these two yummy treats from here at Come Together Kids! 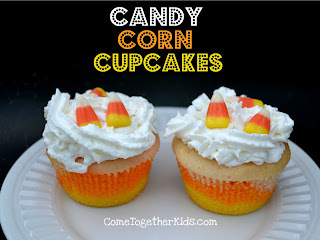 I hope these great ideas for Fun Halloween and Fall Foods have inspired you to add a little fun to your menu-planning! 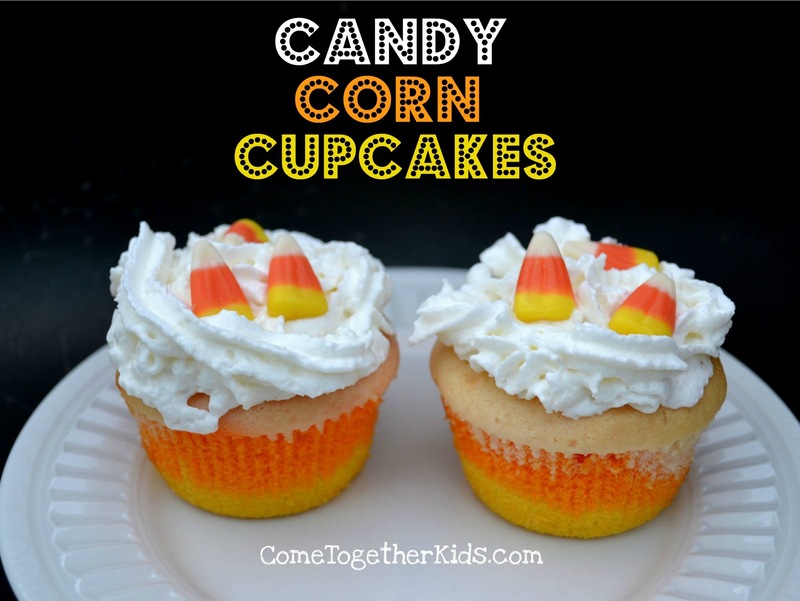 for even more Halloween and Fall recipes and ideas! 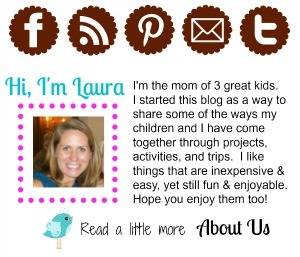 Thank you for posting these great ideas! They really are helpful. these are great! thanks for including the rice crispy pumpkins in your line-up! aren't they cute ... and easy?! 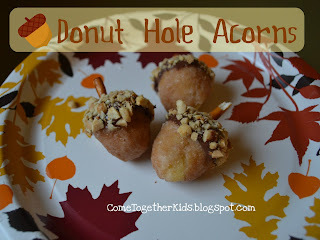 I'm definitely going to try your donut hole acorns this fall. Perfect treat! Love ALL your fun ideas... Definitely gonna try the donut hole acorns... So cute! I love all of your ideas! 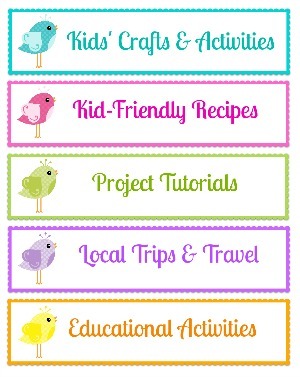 You are one creative crafter! I'm following you! I am loving those pizzas,they made me giggle. It's really very simple. The words raw foods and living foods are usually used interchangeably. Raw and living foods are both raw and living. They both refer to foods that are alive.